The UNIVERGE SV8100 Communications Server is a comprehensive integrated solution designed to meet the unique challenges of small to medium size businesses. This high-performance, feature-rich solution supports pure peer-to-peer IP telephony connectivity, advanced networking, traditional digital switching, or a combination – all from one solution. It allows you to converge your organization’s voice and data networks, and benefit from the cost-saving advantages, convenience, and ease of use afforded by networked communications servers. VoIP provides seamless internal and external communications and access to advanced data and productivity tools. 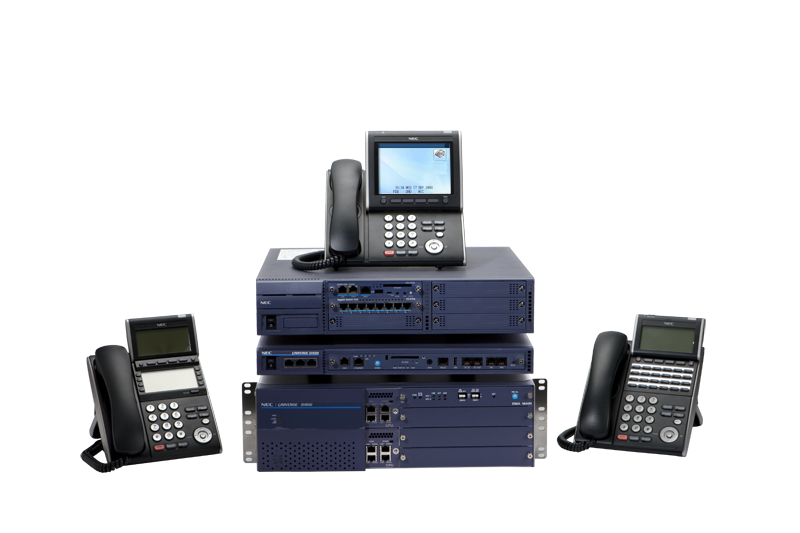 By integrating diverse hardware components and software applications, NEC brings control of telephony features and related call information right to the user’s PC, and provides advanced Computer Telephony Integration (CTI) throughout your organization. Reduce costs and improve network efficiency by transparently sharing communication features and resources between branch and/or remote locations with the NetLink networking feature. Share voice mail and other applications for additional cost savings. Even if you’re not ready to migrate to 100% IP telephony at this time, the SV8100 will work for you. You can deploy traditional circuit-switched technology, VoIP or a combination of both. You have the freedom to adopt VoIP when and where you need it without rendering your existing systems obsolete – providing a superior return on your investment. Contact Atlanta’s premier NEC Unified Solutions Dealer, AML Communications, Inc., for more information or an appointment.